Alfreton Town look for an immediate response to Saturday's poor defeat as we head to Hurst Cross to face Ashton United in the National League North tonight, kick off is 7.45pm. After a hugely damaging defeat on Saturday to then second bottom Hereford, the Reds arrive at Hurst Cross certainly knowing that tonight's contest is must win. After starting the game fairly well on Saturday, the Reds fell behind after 18 minutes after a cross found it's way to Symons a yard out after Sam Ramsbottom parried; the striker converted to give the hosts the perfect start. We clawed our way back into the game on 87 minutes thanks to Craig Hobson's header from a Reece Styche cross only to concede another last minute penalty in stoppage time. Roberts stepped up and scored to give the Bulls a deserved win and a first league win since August. It was another poor result for Alfreton who with the quality of the side should be challenging for the play-offs but league form has been a struggle and it was another set back on Saturday. We head into tonight's game with just one win in our last nine games in all competitions and one win in our last ten league games which came against Nuneaton in mid November. The Reds haven't won on the road in the league in our last five outings with our last away win coming in September at Darlington (0-1). 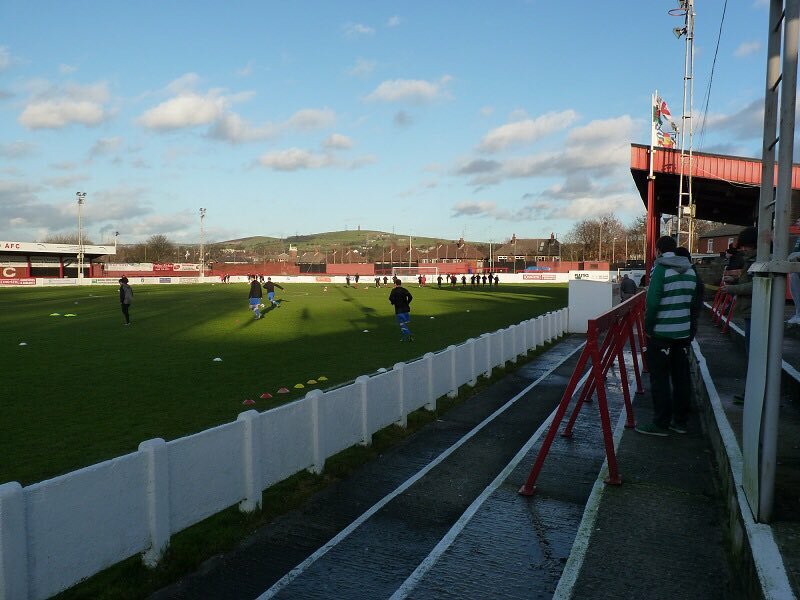 League newcomers Ashton United were promoted via the play-offs in the Evo-Stik Premier Division and sit in 21st place in the league table with 17 points from 17 games. Their playing record sits at: P17, W4, D5, L8. Ashton head into the game this evening having lost their last two games in all competitions, to Boston United in the FA Trophy at Hurst Cross 0-5 and at Bradford (Park Avenue) 3-2 in the league two weeks ago. The Robins are unbeaten in their last three league games at home but their most recent home outing was that defeat at home to Boston in the Trophy. Adults £12, Concessions £8, Under 12s £3.